The biggest and growing problem here, which started with Donald Trump on the Republican side and perhaps Senator Al Franken on the Democratic side, is the idea of political purity. While all sides want their teams to be politically pure from a game theoretical stance–an issue which also tends to prevent any type of badly needed consensus–the rift between what each side deems “pure enough” is going to kill both. While the racism in this case is decried by Democrats, particularly among leaders who have generally been deemed to have been doing an excellent job otherwise, the Republicans only seem to shout it down for the expediency it creates for unseating what they view as an opponent, rather than for the bad act itself. If both parties aren’t going to play by the same societal rules, then the rift between them is going to accelerate the problems we face as a country. In this vein, then perhaps we should all be crying for the ouster of Donald Trump who has been actively working on inflaming racial tensions and implementing a racist agenda in the present day instead of worrying about the political purity of a governor who did something decades ago when society was quietly much worse. 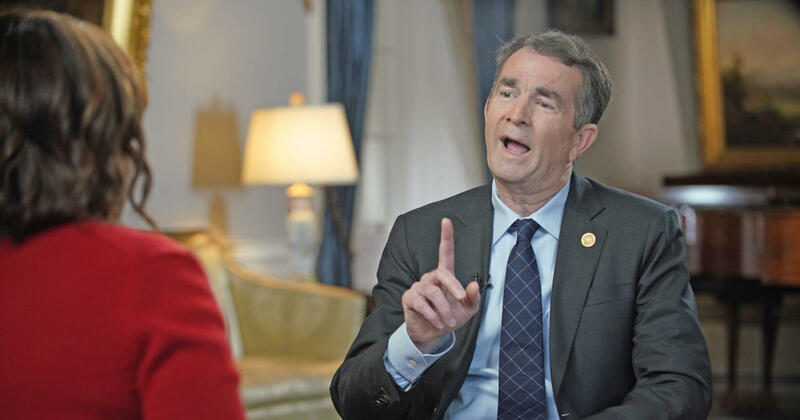 Let’s work on this first and then worry if the governor of Virginia should step down. If we can’t solve the major aggressions then how are we to address the microaggressions? I’ll agree that we can do both at once, but we certainly shouldn’t be doing this. I also can’t help but think about politicians being ruined in the 90’s because they employed illegal aliens, and yet here we have a president who not only decries these same illegal aliens, but who has tacitly exploited them to an extreme in his own personal and business life. Let’s get rid of the double standards on both sides and hold people accountable in general. Perhaps the Christians and the moral majority should be saying before we begin throwing stones, “we should make sure that ‘first we have not sinned ourselves'”? I couldn’t manage to make myself watch the Saudi minister’s interview. Brennan couldn’t easily hold his feet to the fire on the assassination and there was no way that he was going to stray from his talking points. Better would have been if she asked the question, presented the facts as they’re known and then interviewed him on any other subject or even not at all. They may as well have interviewed Hiltler and allowed him to say that the Holocaust didn’t happen and then let him prance merrily on his way. How can CBS give this guy this much air time in good conscience? As if to underline my point about the rift in societal mores between Republicans and Democrats, even Jonah Goldberg says essentially “Donald will be Donald” (aka boys will be boys) because he can’t manage to call him out on national television.